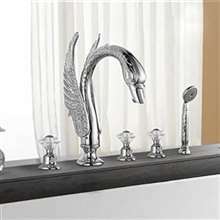 The Athenian bathroom faucet is ideal either for bathtubs or for large bathroom sinks. The gracious round shape of the spout is in contrast with the severe straight lines of the two handles. It comes with hot and cold water mixer for your convenience. It is deck mounted, three holes, with brushed nickel finish. The body, spout and handles are made of brass, while the valve core material is ceramic for best performance and long lasting life time. It comes complete with accessories and installation instructions. I kind of thought at first that the clam shaped design was rather odd, but then I was looking for something different from the old faucet so I went for this one despite my second thoughts. But now that I have it, I actually think it looks good. It works well, too although we had to make some adjustments in order to get it installed. I would have given this thing a complete five star rating if it weren't for the the late delivery. It set back the installation by about two weeks which is pretty long especially since I really wanted it done right away. As for the faucet itself, everything's just fine. It works well and I've had no issues with it whatsoever. 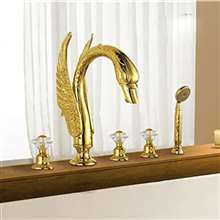 Great faucet, but be prepared to wait. Considering the old faucet that we used to have in the bathtub, this had a more modern and contemporary appeal and looks. I really like the angled handles because they make them much easier to manipulate even with soapy hands. But aside from that, this faucet works flawlessly. I've had this for several weeks now and so far I haven't encountered any issue or problem with it. 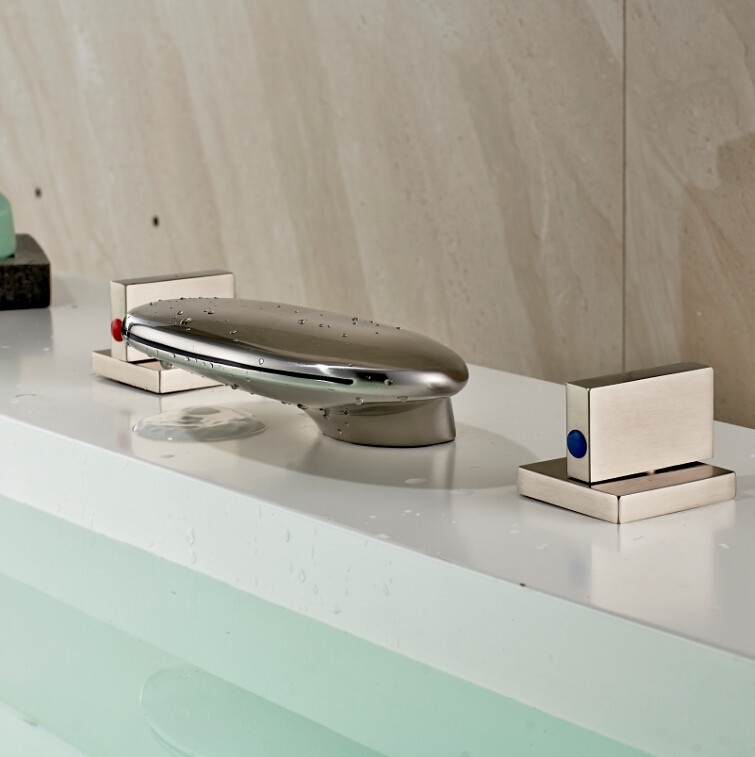 If you're looking for a simple yet striking bathtub faucet, I recommend this one. These were the same effects it had on me when I first saw it. The design looked pretty simple but exudes this contemporary appeal, and the brushed nickel finish makes it looks less luxurious than others, perfect for those looking for something minimalist in design. 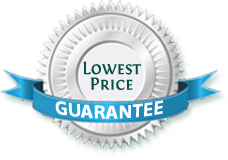 Good product and worth the money.